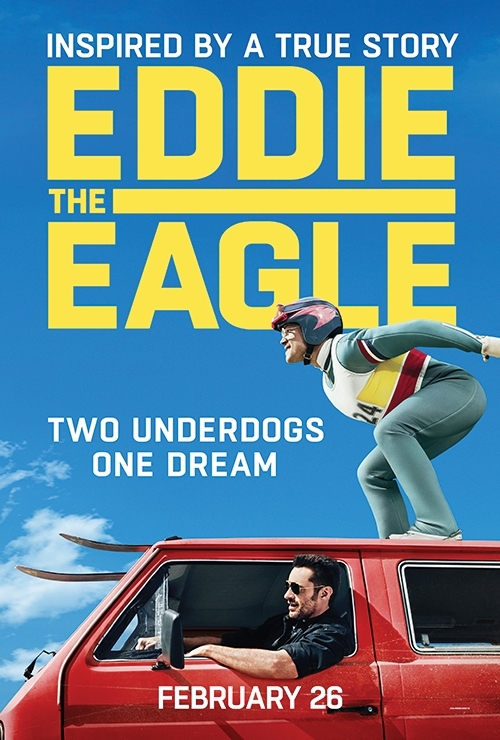 Eddie the Eagle is a true heart-warming story about Michael “Eddie” Edwards (played by the super talented Taron Egerton of Kingsman fame), who has but one dream, and that is to become an Olympian. Never mind the fact that he literally has the athletic ability of a new born giraffe jumping on a trampoline, since facts can’t hold back dreams. Barring all my sarcasm aside, the movie is a real gem. For starters, one of the best things about the movie (apart from its story) is Taron Egerton. Taron E. is mind numbingly good and dons the role of Eddie like a glove. Egerton switches effortlessly between clueless goofball and steely determined sportsman and it is nearly impossible to realize that this is the same kid who was the street hood turned secret-service agent in Kingsman. 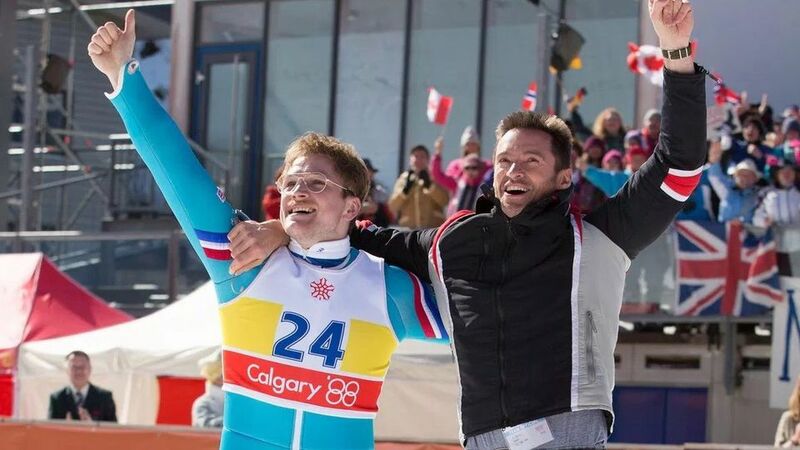 Secondly, when I saw the trailer, I didn’t know what to think about Hugh Jackman, since he really doesn’t seem like a “ski jump coach”. But 10 minutes of seeing him as Bronson Peary and my doubts were cleansed away. Hugh Jackman seems to do this role without even trying too hard. Taron really delves deep into the skin of Eddie, and Hugh on the other side does Bronson as an overcoat and this is one of the reasons the movie works so well. The two characters play off each other perfectly. A lot of the supporting cast are ….. best described as caricatures. A special mention though goes for Eddie’s mom (played by the less known Jo Hartley) who really does a wonderful job as part of the bit part role team. Gun to my head, I guess the one thing not up to par in this movie is the special effects. Now I know it is just a ski jump and an underdog story, but somehow (and this is a purely personal opinion), the effects of a sports film are core to its story (Friday Night Lights, Miracle, heck even Rudy) and despite having the sport as one with a brilliance and elegance of ski-jump, the thrill and jumps are pretty badly shot. Do keep in mind that although the movie is based on a true story, it does take some ‘creative liberty’ (well ok, not ‘some’….’somewhat’…..ok maybe more than ‘somewhat’…..well ok it’s a pretty fictionalized account of what actually happened), but it honestly just adds to the movie and adds it well. In the end, the movie is a good mix of heart and humor and somehow the director has managed to time both perfectly. It’s not likely to win any Oscars, but this is the Rudy of our generation and that is saying something. ← Achcham Yenbathu Madamaiyada Music Review: Rahmanum Tamziharin Udamaiyada !